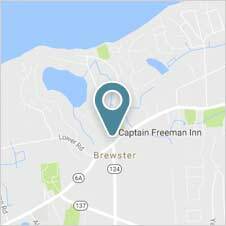 At the Captain Freeman Inn, you’ll find the perfect Cape Cod wedding venue for your intimate wedding. It’s your big day, and at our inn you’ll be sure to enjoy a wedding as unique as your love for each other. Our seaside inn offers a Cape Cod destination wedding venue that is the perfect backdrop for small wedding ceremonies and elopements. 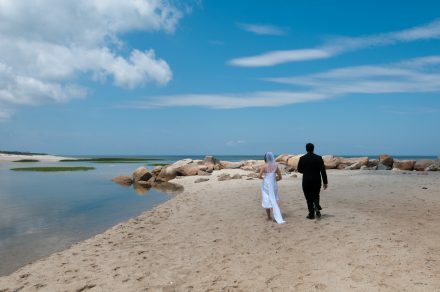 At our Cape Cod bed and breakfast, you’ll find beautiful, one-of-a-kind architecture and interiors, and nearby beaches for your ceremony or for post-ceremony wedding photos. If you’d like to have a wedding that evokes true storybook romance, there is simply no better location. 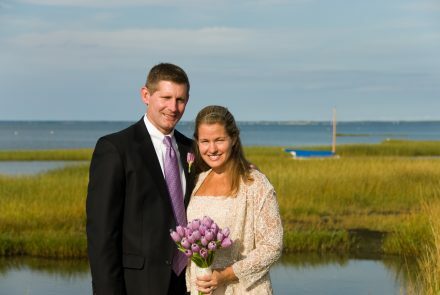 You can opt for a beach ceremony, an intimate ceremony at the inn – perhaps next to the pool – or at one of the unique locations in Brewster such as the gristmill, lake or footbridge at Stoney Brook, or one of the many kettle ponds in town. Our packages include an intimate ceremony officiated by our lovely interfaith minister, Faith Lavender, an artful flower bouquet and boutonniére and a hair and makeup artist who will have the bride looking her absolute best with an in-room session. Our packages also include photography by Byron, a talented photographer who also happens to be your innkeeper, and a celebration with a Champagne toast and chocolate-covered strawberries following your ceremony. Please visit our wedding website to view a selection of wedding packages offered at The Captain Freeman Inn. Our wedding planner can help you create the tailor-made wedding of your dreams. Our wedding planner can also assist you in making arrangements for dinner or a reception at a nearby restaurant. 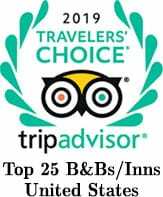 Our favorites include a lobster roll cruise departing from Sesuit Harbor, or a more formal affair at the acclaimed Chillingsworth restaurant. We have also had many couples enjoy the Red Room at the Old Yarmouth Inn, which is perfect for a small gathering. Please contact us via e-mail at [email protected], or by calling 508-896-7481, for more information. Ask to speak with Donna, our wedding coordinator.